After countless games in the present and future, Call of Duty returned to its roots this year with a shooter set during WWII. The move was apparently a smart one, since Call of Duty: WWII has become the best-selling game in North America this year, according to Activision CEO Eric Hirschberg, followed closely by Destiny 2, also published by Activision and developed by Bungie Studios. “Call of Duty: WWII is the #1 top grossing console game of the year in North America, and Destiny 2 is #2,” Hirschberg said in a press release. “That means Call of Duty has been the #1 top grossing console gaming franchise in North America for a staggering nine years in a row, and worldwide eight out of the last nine years.” The publisher also claimed that the title has surpassed more than $1 billion in global sales. In November, Activision claimed that CoD: WWII generated over $500 million in worldwide sales in the first three days of its release. Activision also scored a third hit this year with the Crash Bandicott N. Sane Trilogy, a remaster of the popular franchise from developer Naughty Dog. According to Activision, the remaster, released in June, has continued to be one of the top- selling PS4 titles in the United States this year. Destiny 2, which was viewed by many critics as a major improvement over its predecessor, was also a major success. “Destiny 2 was the top-selling game in September, driving more launch month consumer spend than any other 2017 release to date,” the NPD Group, a Washington-based market research company, said in October, according to Game Rant.com. “With one month of sales, Destiny 2 also becomes the best-selling game of 2017 year-to-date.” Destiny 2 is also noteworthy for being the biggest PC launch in Activision’s history, according to Activision’s press release this week. Activision’s self-congratulation is not unwarranted, given the fierce competition in a year which saw the release of games like Nioh, Nier: Automata, Persona 5, Legend of Zelda: Breath of the Wild and countless other titles that were smash hits both critically and commercially. Transitioning from the space-age setting of last year’s Call of Duty: Infinite Warfare to the tried-and-tested setting of World War II seems to have been a factor in the latest Call of Duty’s success, given IW’s relatively lackluster sales. 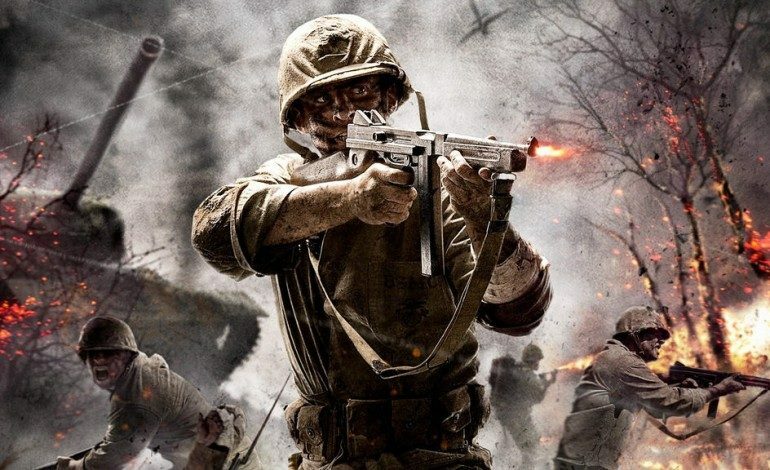 The game is first set during the Second World War since 2008’s Call of Duty: World at War.